Hope you had a very Merry Christmas everyone! 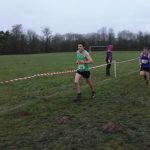 Just a quick reminder of the remaining two fixtures in the North Wales Cross Country League – Shrewsbury on 14th January, and Oswestry on 4th February. A free minibus will be going to both (please let me know if you would like a space) and events are open and free of charge to anyone who is a first claim member of Eryri Harriers. As always, all welcome and everyone helps regardless of speed/experience, come and join the team in 2…017! 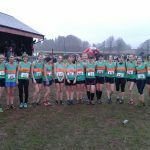 See link for NWXC info and current team and individual standings (http://www.northwalesxc.com/) – the women are still leading the way and maintain their 1st place lead in both the senior and masters ladies categories. Eryri’s senior men have moved up to ‘podium position’ 3rd place which is brilliant and the masters men are now 4th which is great too. 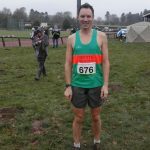 Rob Samuel recorded a seasons best time of 30:35 when finishing 9th in the Ribble Valley 10k on Tuesday 27th December at Clitheroe in cold, dry and calm conditions. It was Rob’s best time for the distance since 2012 when he ran his PB time of 30:21 at the same event. Richard Roberts also ran a seasons best 10k time of 32:26 finishing 34th overall, two seconds quicker than his Telford 10k time earlier in the month while Arwel Lewis finished 255th in a time of 40:47. In the 100th running of the Conwy Parkrun on Saturday 24th December in very windy conditions, it was fitting that Paul Wathan a day after his Birthday would win the event once again for the 22nd time and that was despite wearing a full Santa outfit, beard and all in a time of 18:04 ahead of Run Wales’s Chris Yorke (NWRRC) 18:31. Paul’s partner Gemma Morgans finished 26th overall and 2nd female in a time of 21:19. The Penrhyn Parkrun was cancelled due to a not so friendly Barbara!! Paul Wathan added another Conwy Parkrun win to his tally (No 21) on Saturday 17th December in a time of 17:07 ahead of 2nd placed Paul Jones 18:41 with Paul’s partner Gemma Morgans finishing 11th overall and 1st female in a time of 20:18. On the same day at the Penrhyn parkrun, it was seventh heaven for Russell Bentley despite a broken thumb! as he made it seven out of seven wins in the event with a PB time of 16:01 though he was aiming to get under the 16 minute mark, no doubt Russell will be back to give it another go! Well done to all runners who represented North Wales at the Inter-regionals yesterday in Brecon – it was muddy as it should be, but drier than expected and a varied course. Matthew Fortes made an excellent debut for North Wales and ran a consistently strong 3 laps coming in 41st overall and 17th out of the 35 in the MM35 category. In the same 9.4k race, Arwel Lewis also had a strong run and came in 90th overall and 6th out of the 29 in the MM55 category. Well-run, determined laps by both – really well done! Annabelle McQueen ran in the U17 girls category and worked together with her team mates and came in a brilliant 14th overall, with 3 of her team mates coming in 15th, 16th and 17th – well done ladies! Becki Law and Helen Blair ran 2 laps of the 6.2k course and came in 41st and 46th, with Helen avoiding any calf problems AND helping the North Wales MV45 team to second place – brilliant effort!!!! Really nice event to bring together lots of the people you see at the league events, but all wearing the same vest – well done everyone! Special mention to Matthew Fortes for driving the Eryri people down to Brecon and back – star! The previous day; Paul Wathan recorded his 20th Conwy Parkrun win in a time of 17:10 which is some achievement from 28 runs in the event & includes 6 runners-up positions! Not everyone can make the trip but a huge well done to the 18 Eryri Harriers who were selected to run for North Wales in the Inter-regional cross country championships in Brecon this weekend. Eryri women – Annabelle McQueen, Tammy Lewis-Jones, Helen Blair, Annie Williams, Ellie Salisbury, Andrea Rowlands, Megan Hughes, Louise Emery-Jones, Becki Law, Bronwen Jenkinson. Well done all and best of luck to those who are running at the weekend!